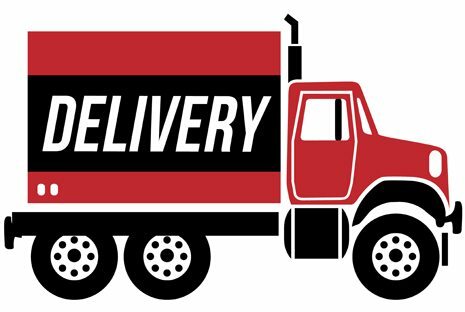 After purchasing a new organic mattress, our customers are very eager for the moment that a delivery driver knocks on their front door with their new mattress delivery. This excitement usually leads to many questions regarding shipping, delivery, and set up of the mattress. Since we work with many manufacturers, mattress models, and different sized mattresses and foundations the answer is not always the same. Ground Shipping: If your organic mattress ships via UPS or FedEx ground your shipment would arrive just as your smaller UPS or FedEx packages would. The time in transit takes between one and five business days depending on how far you live from the manufacturer. Freight Shipping: There are three different levels of freight shipping. Curbside-Our standard freight shipping is classified as “curbside delivery”. The driver is only required to drop off the shipment at your curb but if you ask nicely they will most likely help you bring the mattress to your door. The time in transit takes between two days and two weeks depending on your distance from the manufacturer. Threshold– Threshold delivery means that they will bring the boxes through your doorway for you and leave them at the first available open space. The time in transit takes between two days and two weeks depending on your distance from the manufacturer. White Glove– If you are not a local customer but are interested in having a mattress assembled, we offer a white glove delivery service; please contact us if you are interested. With white glove service, the delivery drivers bring your mattress inside your bedroom, assemble it, and remove the boxes. This service will often be subject to an additional fee. There is also a possibility to have an old mattress removed for an additional fee. The down side of white glove delivery service is that the delivery drivers may not be experienced with the specific organic mattress that you have purchased, and they might not read the assembly instructions or take as much care as you might. The time in transit takes between two days and two weeks depending on your distance from the manufacturer. Local Delivery: We offer delivery to our local customers. A delivery includes a full installation and setup of your new organic mattress. We do not perform mattress removal but may be able to offer some suggestions as to how to get rid of your old mattress. Innerspring Mattresses: An innerspring mattress will arrive in one large box and there is no assembly required. Once you open the box and place your mattress on your box spring, foundation, or platform bed, your mattress will be ready to sleep on. An innerspring mattress will always ship via Freight Company. Organic Latex Mattresses: The most popular mattresses that we sell at The Natural Sleep Store are natural latex/rubber mattresses. Some of the natural latex mattresses are already assembled and ship as a traditional mattress would in one mattress sized box, with a freight company, similar to an innerspring mattress. However, most of our natural latex mattresses ship as separate layers of natural latex which fit into an organic cotton and wool encasement and are designed to be assembled on-site. Layered mattresses are easier to carry through your home and will not cause any problems that can potentially occur when trying to fit a king mattress through a small doorway or around any tight corners. It also means that the layered pieces come in smaller, individual boxes. The boxes are very manageable and make moving the bed much easier. If you order one of these mattresses without a box spring or foundation, they will often ship via FedEx or UPS Ground (please see the individual manufacturer information below for further details). If you order a box spring or foundation, these mattress sets will always ship with a freight company. If you order a mattress only your mattress will be shipped with FedEx Ground. If you order a mattress and foundation it will ship with a Freight Company as a curbside delivery. The freight company will call to make a delivery appointment a day or two in advance which will allow you to arrange a time that works well for you. If you order a mattress only your mattress will be shipped by Fedex. Green Sleep mattresses ship with a freight company with either a threshold or a white glove delivery (white glove might be an extra charge). Your mattress will ship either with FedEx or a freight company. Please contact us for more information. Royal Pedic mattresses always ship with a Freight Company with white glove delivery. Depending on the mattress you purchase, shipping may be either UPS Ground or with a freight company. Please contact us for more information. Make sure you check over boxes when they are delivered. If there is any damage, you must write a note on bill of lading slip BEFORE signing. If the boxes are damaged you will also want to open them with the delivery driver and check if the mattress is damaged inside. Often boxes are ripped but the product inside is pristine. If there is clear damage to the mattress or foundation (not just to the boxes), it is also your right to refuse the shipment. Please contact us right away if you should see any damage to your shipment. If boxes were left by UPS or FedEx while you were out and your mattress is damaged, please contact us immediately. Enjoy your new organic mattress and sleep easy knowing you are on the healthiest mattress that money can buy.